Contest #9 is over and there were a lot of creative entries. Unfortunately, none of them were usable for the GIZMO acronym, but the answers were a lot of fun. 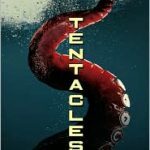 I’ve chosen the top three entries and their signed copy of “Tentacles” is in the mail. This brings me to contest #10. Press the Contest! button on my web page and follow the instructions. This one is a lot easier. Good luck! Haven’t heard of them. I’ll have to check it out when I get a chance. Not bad…but that contest has ended. ← February 2, 2011. Unboxing the “Storm Runners” hardcover!